How are y'all doing today..
As the Title above clearly states, this post is brought to you courtesy of PARNEVU!!! I reviewed some of their hair products on the blog a while back, and they have been generous enough to give one Lucky person Three products of their choice chosen BY the winner from their website. Before you Continue, Please NOTE that this is open to U.S Residents ONLY!!! I am happy about this giveaway because I really enjoyed the Parnevu products I use and reviewed on this blog. Here are the Goodies I reviewed HERE. In case you didn't notice, I have been kind of MIA these past couple of days. Been busy as a bee, and this will remain so for about 2-3 more weeks. I posted this update on TheDIYLady Facebook Page but I wanted to share it with you on the blog too. All is well over here though, nothing hard or sad going on. Just been busy and blogging is currently taking the back seat. Companies I'm yet to post reviews for, please bear with me as I'll be back in full force soon. I also want to share my weekend mani with you all. Considering that I'm blogging from my phone, this picture below was taking with my phone. Here's China glaze - lubu heels. I like that this isn't an ordinary black polish. THe red shifting shimmer is lovely! ! Today on the blog is China Glaze - Cranberry Splash and an accent nail with Zoya - Gilty! Not much talking is needed, so hereeeee we Go!!! Two coats of Gilty was used for the accent nail. And Here is Cranberry Splash on its own. SUCH a RICH and beautiful red nail polish. What's on your nails this weekend? I Hope you all have a fabulous weekend dearies. In case you're wondering what "Throwback Thursday" is, It's something I decided to start doing on the blog every Thursday of the week. I realized that not only do I have so many New Untried Polishes, but I have also ABANDONED polishes I got a while back. I was sorting out polishes for a blog sale I'll be having soon, and I found so many Polishes I got in 2011 and before that I truthfully Haven't used more than once or twice!! WHY??? Also, there were so many 2012 polishes I got and never used! Ha! So, I got the idea of Throwback Thursday from Instagram, and I decided to start this on my blog until I've exhausted the polishes I abandoned. I will not only be doing swatches, but hopefully nail art and other fancy stuffs too. 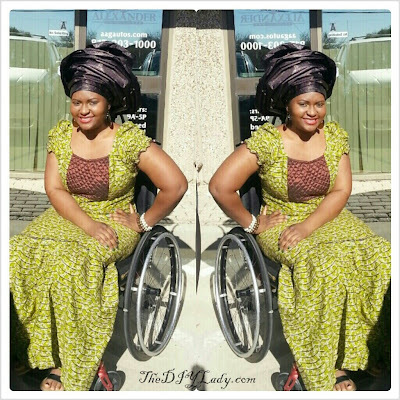 Throwback Thursday on my blog will include creating mani's inspired by old pictures of me/whatever else is old. 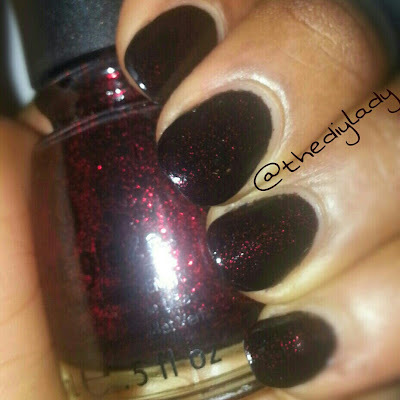 For this first Throwback Thursday post, I chose to do a swatch of a nail polish I got in 2011 and fell in love with! This is Ruby Kisses HD - African Violet. It's a Pink/Purplish polish and this was perfection in two coats. The formula amazed me because I bought this at a beauty store for only .99 cents. Or maybe $1.99. I am very excited about this Throwback Thursday Idea and I'd like to hear your opinion? Today I've got the mani I wanted to show you yesterday before I found out the blog had reached over 200,000 page views. I am still very stoked and happy! This was my past weekend mani, and it stayed on my nails for about 3 days. Since I changed the shape of my nails, I wanted a really girly and simple mani to compliment the squoval/oval shape of my nails. I decided to go with China Glaze - Surreal Appeal and topped if off with OPI - Pirouette my whistle. Here is Surreal Appeal alone. It's a coral - pink polish and application was flawless in two coats. Loved it! I'm missing my square shaped nails already honestly. But I found out that this shape helps from nail breakage and it also makes my fingers look skinny when they're stretched out. lol.. I came on the blog this morning to blog about a mani and for some reason my eyes went to the Blog View Counter on my Blog. I was pleasantly surprised and Caught the meter at a little over 200,000 Page Views!!! I didn't even know I had that many of you viewing my blog in a little over 1 year!!! Jahhhhh Jahhhh Jahhhhhh!!! I'm Over here SMILING and CHEESING HARD!!!!!!!!!!!! THANK YOU ALL SOOOOOOO VERY MUCH!!! Like For reals?!?!?! Y'all are TOO MUCH!!!!! I am beyond grateful!!! Beyond Beyond Grateful! You Guys, I am so happy! 200,000 views IS a Big deal to me y'all! It really really is. To celebrate and show how Happy I am. I am declaring an Unplanned Giveaway! This giveaway is to show my Gratitude to you guys! Sadly, I can't give you ALL gifts, but I hope this giveaway expresses my Sincerest APPRECIATION!!! As at Right now, I really don't know what will be in the Package the winner(s) will get. I don't know how many winners I'll have, But there shall be at least one guaranteed winner!! Lol..
Prize(s) will include Nails/Beauty Related products - Obviously. I will urge winner(s) to post a picture of whatever they get on our facebook page, and might even do a post about whatever I send. The Only Mandatory Option is that you should provide me with your email address. You don't have to share this giveaway because I don't really care for "random-ites" who didn't contribute to this milestone. lol.. I want to THANK YOU, who came to read this post without the knowledge of a giveaway embedded within! So yes, You don't NEED to share this, except of course, if you don't care about being a winner. Hahahaha..
Every Other entry option is Optional. I made this so because this is to thank you all for over 200,000 page views. I Know that I didn't get to that number because of only a certain group of people such as GFC followers, FB Likers or Twitter followers. It's a combined success and as such I couldn't make the entries mandatory. But I'd like you to follow me Via GFC and all the others if you have an account. You will get rewarded with additional entries if you do those things. I added one other option which is to follow me on Instagram. Please NOTE: This option is VERY optional. I post personal pictures, nail pictures and random pictures on my Instagram account. If you'd rather not see those things and will unfollow me after this giveaway is over, just don't bother following. Seriously. lol... Let's spare each other the headache. Winner(s) have 48 Hours to reply my email after I send it. Failure to reply email shall result in me choosing another winner. Open to EVERYONE in every Country as LONG as you've received Nail Polishes/Nail Art goodies before. Enter below and THANK YOU ONCE AGAIN FOR THIS MAJOR MILESTONE!!! Life certainly has been keeping me busy, but today I have something to share with you all.. Something I've been planning to share all along! I realized I've been blogging for a year now, and I never really shared with you all the deets about my nails. I just want to share with you all whatever you shall read below. LOL. Hang with me, Ok? This is the hand you see mostly on the blog, It's my left hand because I'm right handed. The nails on my "Famous Hand" have been square shaped since forever. I Love the square shaped nails soo much. When my nails grow out, people actually think they're fake! The sad thing about square shaped nails is that when they do grow out, they start curving inward, and look really weird, so I always find myself washing my hands A LOT so I can make the nails soft and bend them back to square. My left hand nails almost always contain some form of nail art. Whenever I do nail art on the blog, About 85% of the time, that nail art is NOT done on my right hand. I am definitely not ambidextrous AT All, so I can't always use my left hand to create beautiful goodness on my right hand nails. Except for when I do Nail Art stamping! Which is a life saver! Speaking of nail beds, I have short nail beds. Iam wise enough to appreciate what God has given me.. BUT DANG @ All of you with Really Long Nail Beds. Even when your nails break/are short/nubbins, they still look longer than my Entire nails + Nail Bed. Lol..
Anyhoo, Enough about the "Famous hand". It's time for my Right hand. I wish it could be the famous hand because I LOVE the nails and everything about my nails on this hand! I tried to make this the "famous hand" on the blog for a while but It was seriously A LOT of work to get it painted and make it look decent for the blog. I spent lots of time cleaning up after polishing and making things look right that I just had to switch back to the Left hand. THIS IS MY EXPERIMENT HAND. Layering combinations, nail art experiments, Nail Shape experiment, And Any kind of Experiment you can THINK of. Lol.. As you can see above, the nail shape is different from the shape of the "famous hand". For the purposes of this post, I took a 1 week of "nail growth" picture for you guys. Look above: On the Left is One week ago, and on the right is After one week. You see the visible growth? I told you it grows LIKE WEED!!! As I stated before, It doesn't always look identical to the "famous hand". lol.. I have been known to have different mani/styles/color of polish on both hands AT the same time. Heck, Who am I fooling, I don't think I specially care for my nails. So, let's just call this, "What I do to my nails". lol.. I wash them A LOT! That's a personal nursing thing though. I can't have dirty hands, so Yeah, I find myself washing my hands a lot! This is good because it helps me clean the dirt that might be under my nails (since I have to grow them out to avoid the look of nubbins). I am a firm user of this product below. Petroleum jelly. Yaaaasssss!!! Picked this up at a dollar store. It's the TRUTH my loves. I tried Burt Bee's Cuticle cream and while it was NICE, I must say this Jelly below is more economical for a Frequent hand washer like me. This is also really moisturizing. Seriously! I always have a nail file in my purse. If I have a little breakage on the side of my nail or top of my nail, I quickly File it away before it becomes something that'll cause a big nail breakage. This nail file is by Cheeky, and you can find it HERE. Set of 5 for less than $10. Also check Cheeky's Amazon page if you'd rather shop there. I have to say, I Love this glass file! I DON'T CUT my cuticles. I just let them be. I've heard that it's a bad thing to cut them, and I've experienced how bad cutting them can be. It's just unnecessary. I use an E.L.F concealer brush for clean up when I paint my nails. I dip the brush in polish remover and use it to clean around my cuticles and wherever else needs clean up. My brush is old and needs to be replaced. Lol.. I will work on that ASAP. That's the brush in front on this little "working station" of mine. Speaking of work Station, My Work station isn't a table. Get your imagination ready. Lol.. When I paint my nails, I'm mostly ALWAYS on my bed. I sit up in bed, place a pillow on my thighs, place a table-like platform board looking thing on the Pillow, put a Tissue paper or regular paper on the board, and GET To BUSINESS. Yes IT is Very comfortable. Painting my nails is a Hobby and one of my favorite past time. A Leisure activity that I do while I'm on my bed. Having a more serious "work station" would take the fun out of painting my nails in my Opinion. Maybe I'm just saying that because I don't want a special painting table? Ha! Anyhoo, I turn the fan on in my room and open my door so that the Polish fumes don't get in my head and make me dizzy (is that possible?). Lol..
As you can see above, When I'm polishing, I usually have my Cotton Pads, My Personally made Polish remover - in an old Zoya remove+ Bottle, my Petroleum Jelly, Nail File, Clean up brush and the polishes I want to use. My Base Coat is Usually Kleancolor - Calcium and Topcoat is Seche Vite or Color Club Topcoat found in the color club packs at Ross. BOTH are fast drying and I LOVE that! When I'm having a "swatch-a-thon" I use regular cheap topcoats like the NYC, Sally Hansen, Or Color Club Topcoat. I drink LOTS of water - personal preference, but I think it helps with my nails - Just throwing that out there. lol.. I don't use special pills for nail growth. Aside from the regular "mishaps of nail breakage" - especially on my left hand, My nails do fine! I need to invest in a photo box. But for now I just take my pictures using either a Black, White or Red background. Whichever one shows the Polish/Product I want to showcase in its true color. I use my Canon Rebel EOS - XS. Sadly I don't have any fancy Photo Editing Software. Alright, I think I covered everything in that little write up. Speaking of my personally made Polish remover - since I Know someone WILL ask - it's really easy to make. It composes of pure acetone, glycerine, and water. I mix them together and it's kind of a cheaper version of Zoya Remove+. You can read all about how to make this HERE. I Decided to follow my right hand and I went ahead to shape my left hand nails just like it. My "Famous hand" Looks different AND Odd. Lol.. I guess that's partly because the nails on here aren't as long as my right hand nails, but OH well, the damage has been done, and I'll try to see how I feel about this in the next couple of weeks. One good thing about this shape is that, my nails don't bend inwards and I don't have to bend them to make them square! Sooooo... Did you enjoy this post? What do you think about my new nail shape, Tell me the NAKED truth... ;-) Don't sugar coat it. Share whatever else you want with me... I'm ready to read. If you have questions... Ask and I'll answer to the best of my ability. OOTD, FOTD and Swatches of Darling Diva - Pot 'O Gold. 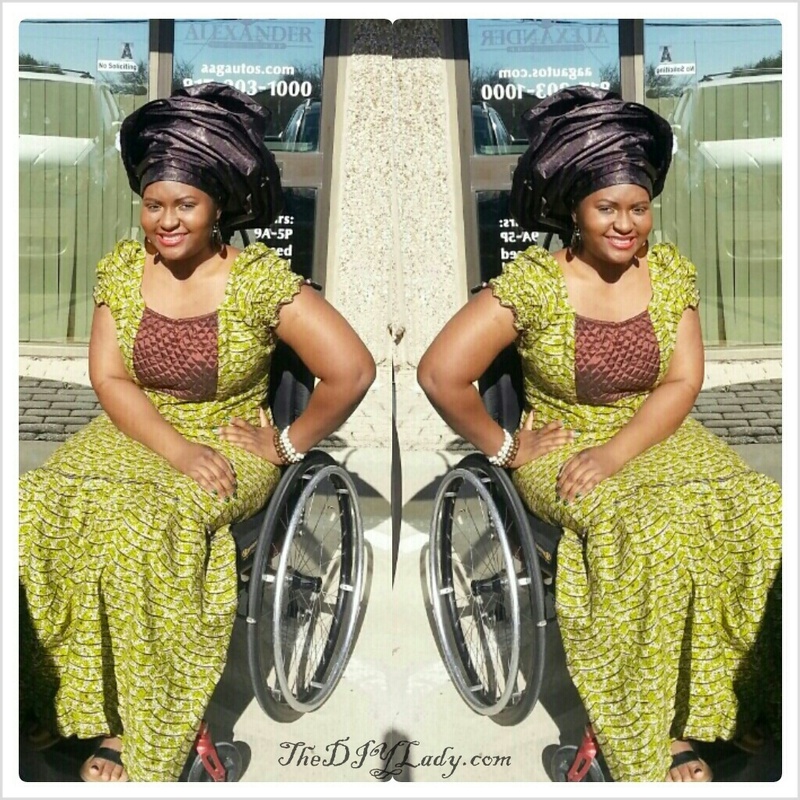 Today on the blog is my First OOTD/FOTD post of the year 2013. 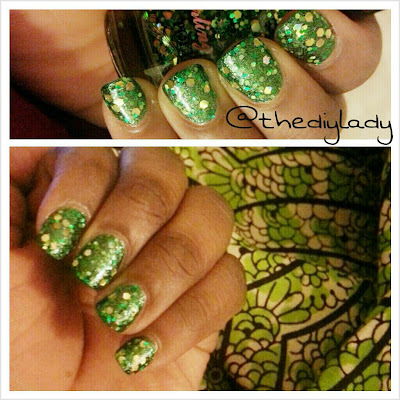 Also, I have swatches of Darling Diva - Pot 'O Gold, Since it was the mani I rocked with my outfit. For this mani, I layered Pot 'O Gold over zoya - Logan. Pot 'O Gold is a very shiny, Glittery Polish. I Got lots of compliment on this one. I LOVED it! Here you can see how very clear the glitter is. This mani totally complimented my outfit! Here's My FOTD for The First Sunday Of the Year at Church. Simple Yet Bold Makeup to compliment my outfit. Here's the Outfit I wore to Church on the First Sunday Of the year. 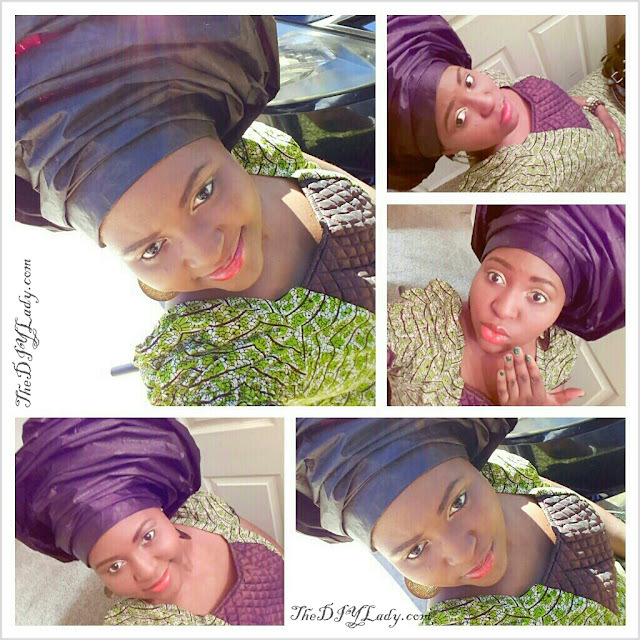 This is a traditional Nigerian Outfit. And That's it for today my loves. I hope this year has been a blessed one for you all. If you're interested in Pot 'O Gold, Or want to check out other Polishes by Darling Diva Polish, Please go to her Etsy Shop HERE. Darling DIva Polish Provided for review. Opinions are 100% mine. Today I have a milky base glitter polish by Darling Diva for you all. The milky base polishes weren't originally my favorite, but I must say, they've grown on me, and when I find unique ones, I love them. It has purple and pink hex glitters, and also heart shaped glitters. What you see here is two coats of perfection. A white polish with no streaks and amazing opacity? Count me in. Aside from the fact that the heart shaped glitters didn't really come out to play, I love everything about this polish. The soft looking glitters embedded in the white base just looks fancy! If you're interested in this polish or want to check out other polishes by Darling Diva Polish, Please go to her Etsy Shop HERE. Provided for review. Opinions are 100% mine. This post is originally scheduled for Monday, but due to recent developments, I wouldn't want you to miss out, so I'm posting this now. 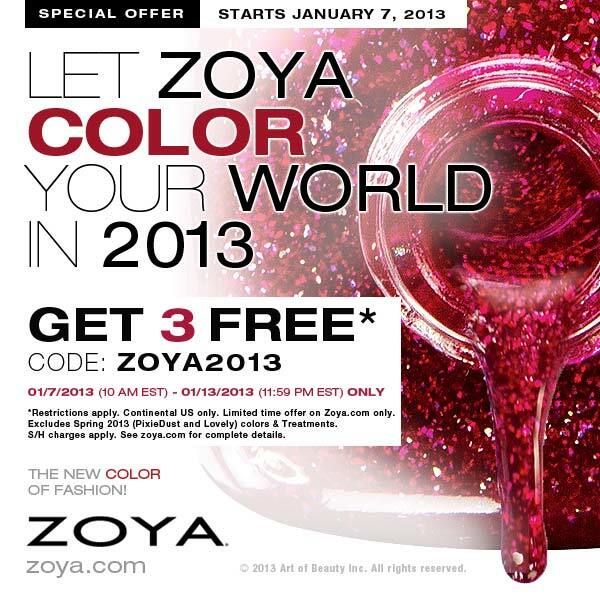 This past week, Zoya Announced that on Monday Jan. 7th, with the use of the code: ZOYA2013, each person will get 3 FREE polishes of their choice, only pay $10 shipping and Handling fee. Obviously, a lot of polishaholics were excited about this. Anyhoo, Fast Forward till today, Rumor has it that the Code actually Works NOW, and you don't have to wait till Monday January 7th to use it. Now you understand why I'm posting this now. I don't know how true the rumor that the code works is because I haven't made a purchase, But if you're interested, CLICK HERE to register/sign in to your zoya account and make your purchase. To read more about this deal, CLICK HERE. On the blog today is Lex Nail lacquer - Tuilleries. This is a pretty light pink jelly base packed with silver, red, pink, orange and purple glitters. Milky base/jelly polishes are starting to really tickle my fancy. I generally don't like Visible nail line, but this built up well in 3 coats. The glitters came out to play all on their own, and that's a definite PLUS! I got this polish in a package from one of the ladies in my birthday group (last year August). Took me long enough to wear it. Smh.. Lol.. SO beautiful though, this one. Just a quick post about an awesome deal! 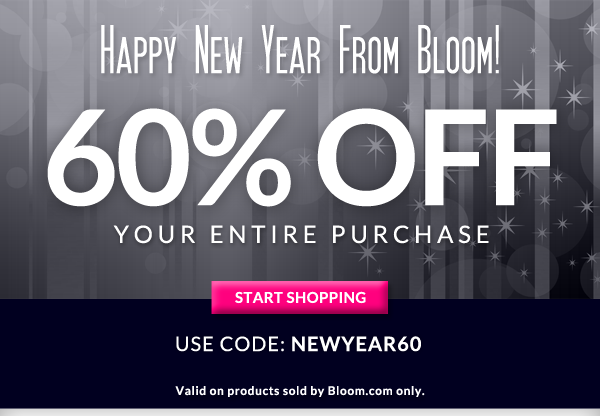 That's an awesome deal since bloom carries a bunch of goodies from different brands. 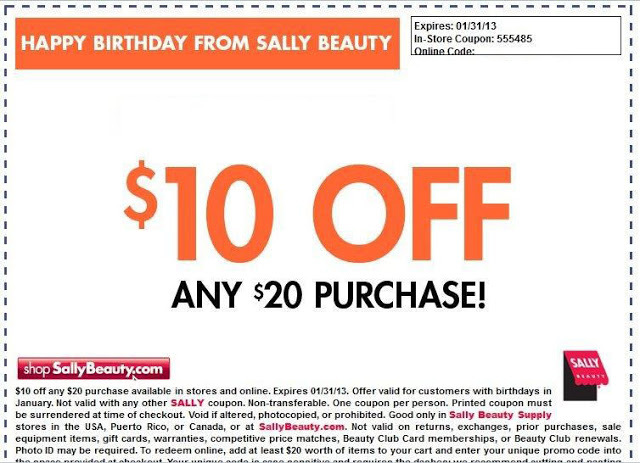 Nail Polishes, Makeup, Hair products, and everything beauty related. It's day Two of the new year. I hope Y'all are having a FAB 2013 Thus far? I'm trying to be an awesome blogger this year by having more stuffs for you guys. I'm not gonna share my plans with you so that no one holds me accountable when I'm not able to deliver. Hahahaha... BUT, I'll be doing my best to make sure I stick to my plans. Today I have swatches of Darling Diva Polish - BJ. This is a pink holo infused nail polish and it was opaque in 3 thin coats. The Holo is certainly more visible under a lot of lights but the pink shimmer and lovely sparkles blink even in the dimmest lights. I love the formula on this very much. I decided that all the pink gorgeousness shouldn't go to waste, so I stamped a very girly design on BJ using GALS Plate 36. The white bows and the pink certainly pleases the girly girl inside of me. LOVE this!! See the holo and shimmer peeking through the bows? Products in this post were provided for my review. Opinions are 100% mine. WE MADE IT HERE Y'ALL!! We're ALIVE!!! So ALIVE, and Whoaa..HAPPY NEW YEAR!!!!!!!!!!!!!! Just a quick post to wish all you wonderful people a HAPPY New Year!!! On My nails to ring in the new year was a BLING BLING manicure done with All China Glaze Polish. I couldn't capture it well, But I wasn't even bothered because I was way to happy with the finished result that my camera's shenanigans didn't even affect me. Lol.. Isn't that such a GREAT attitude to enter the new year with??!?! Yeeehhhawwww!!! NOT Gonna Sweat the small stuffs this year. SO HELP ME GOD. Anyhoo! I ran in the new year singing praises, praying and dancing at Church. Gradient and accent nail done with China Glaze - Pizzazz. Way too excited and pumped about the new year... SO HAPPY NEW YEAR Y'all!!!! Here's to many more Nail Polishes, AWESOME DEALS, Freebies, and LOTS OF Awesomeness in all our lives in this year 2013!! !